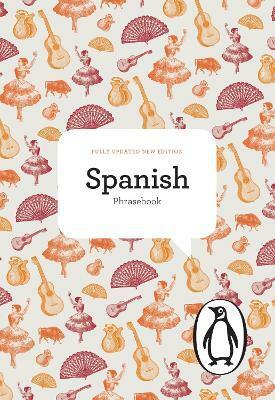 This newly revised and updated Spanish Phrase Book contains a wealth of useful words and phrases for travellers. The book includes basic grammar, a pronunciation guide and additional vocabulary, and is clearly presented in the perfect pocket size, in a clean and simple look. Jill Norman speaks several languages and has travelled widely. Jill also created the Penguin Cookery Library in the 1960s and 1970s, bringing many first-class authors to the list. She has since become a Glenfiddich Trophy winner in her own right, and is a leading authority on the use of herbs and spices. She is the literary trustee of the Elizabeth David estate, and worked with Mrs David for many years.